I am just back from a week off in Marrakesh. Together with a hearty group of people from many places, I wrote and documented software in the heart of the medina. We also ascended the snow-covered mountain in the picture above. A group around the ambitious MirageOS project gathered to enjoy community around the programming language OCaml. The week was spent in an artsy hostel with a roof terrace and a cool riad. The sun baked during the day, the moon chilled the nights. The week was a so-called hack retreat, with goals of making the MirageOS ecology of software better in some way. Some people brought their own agendas of what to make, and others, like me, found them when in place. Most of this time was spent squinting at some screen or other: learning, listening, exploring. At work and in my spare time, I program Ruby in a Web setting, whereas here it was a systems programming language, in a system setting. But, I’m a dabbler at heart, and trying to keep a beginner’s mind. Learning OCaml can be a hard slog, even if you know a few programming languages. Many alien concepts, and at times not much of a railing to hold on to. Many possibilities to describe things better for the new-comer. I was helped along by helpful and knowledgeable people. Sometimes, I could make a mental breakthrough by plowing through domain-specific jargon, translating it to something familiar. But more often it was by being near someone who was at the same place I was, the foreigner, the outsider, and we could quickly learn new things together. I found a great collaborator in Matt, an English chap who had taken on an issue in the mirage-tcpip library. “There’s no need to use floating-point arithmetic here, we can change that to Int64 calculations on 64-bit integers instead.” I got to join him on this quest. To make the change, we read the section of the RFC over and over, made calculations on paper, authored unit tests (that became integration-like). And we fixed our mistakes in calculations on paper. At the end of the day, we had a Pull Request for the project, and were able to get some feedback. It felt great. And it was great. It even got merged. Later, I collaborated on some package management issues in a SOCKS4 proxy library, which was improving a lot during the event. The days were much the same: get up, clean up, have breakfast, continue programming, complain about slow the Internet. Suddenly: lunch, followed by some more programming, and then it was suddenly dinner. At some points, the inviting organizer of the event made a “call” for talks, like: “Hey Spiros, I heard you would like to give a presentation of your parsing system Angstrom. Say at six o’clock?” Graciously, the speaker would then concede that this was a good time to present their work. One of the talks was about solo5. That is a “unikernel monitor”, a very thin thing to wrap the running of a unikernel. As a companion explainer, the presenter took care to link to this 5-page PDF of Williams and Koller’s conference paper from HotCloud16 (“Unikernel Monitors: Extending Minimalism Outside of the Box”). Check it out if minimalist systems is your thing. 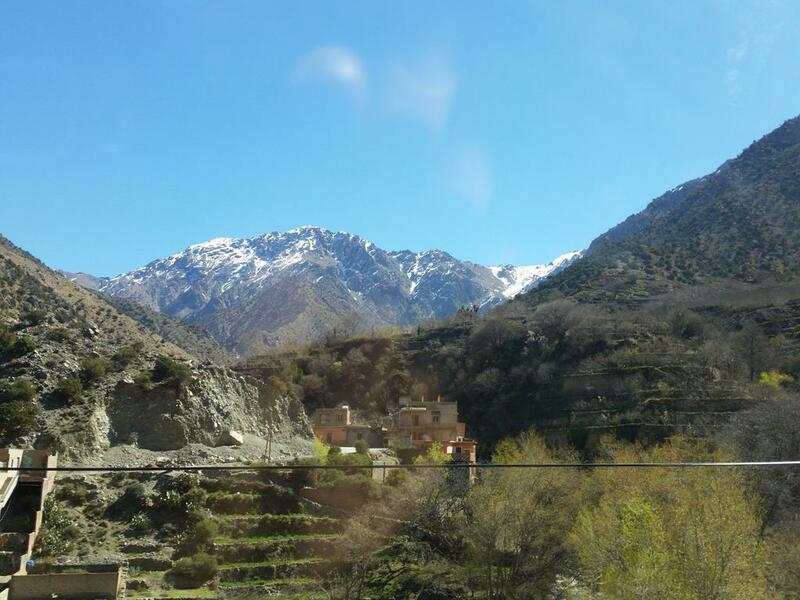 We made a few outings, climbing the Atlas mountains and visiting a herbalist. But mostly we kept to the retreat itself. Rating 10/10, A-plus, would learn to program OCaml with these people again. Thanks for sharing! Seems like an awesome week.